It is night in my study. is dropping to the bottom. Here, in the night, alone, this is my study. of the poets, the thinkers, the learned. to face a bullying temptation. I finished them and am still living. This is indeed a magnificent poem . 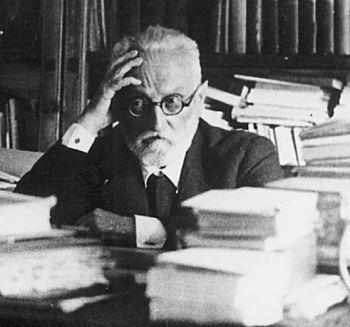 Unamuno, who in his solitude sees very clear things that are not true. It is world of the self--and it is also the world of the other worlds beyond the self. What I love about is its piercing passion--about life and death --no qualms about it. And yet, these are our daily preoccupations too. Miguel de Unamuno (1864-1936) was a Spanish essayist, novelist, poet, playwright and philosopher. His major philosophical essay was The Tragic Sense of Life (1913). He was a member of the group of Spanish intellectuals and philosophers known as the "Generation of '98," and a writer whose work dramatically influenced a wide range of 20th-century literature.